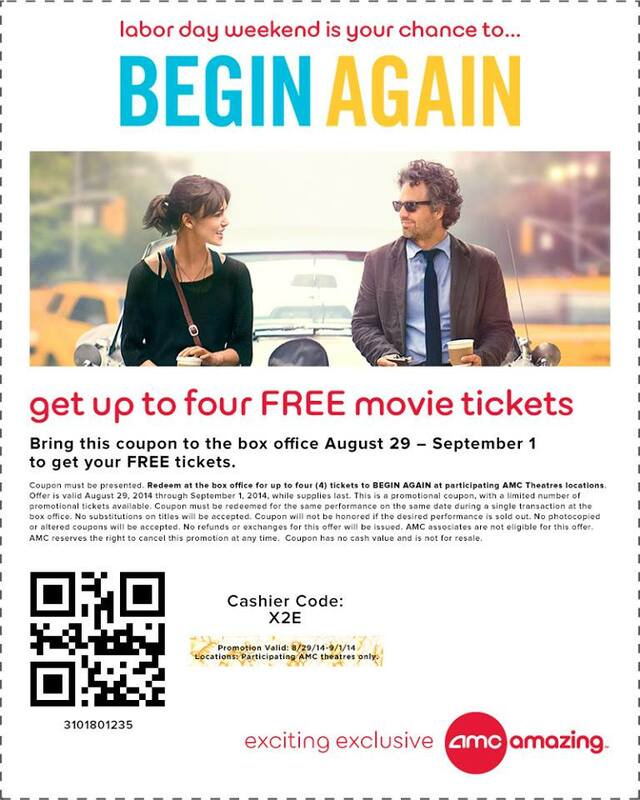 Free movie tickets to indie film, Begin Again (at select AMC theaters). Visit http://m.amcurl.com/05nby for a theater near you. Here’s to a wonderful long weekend!